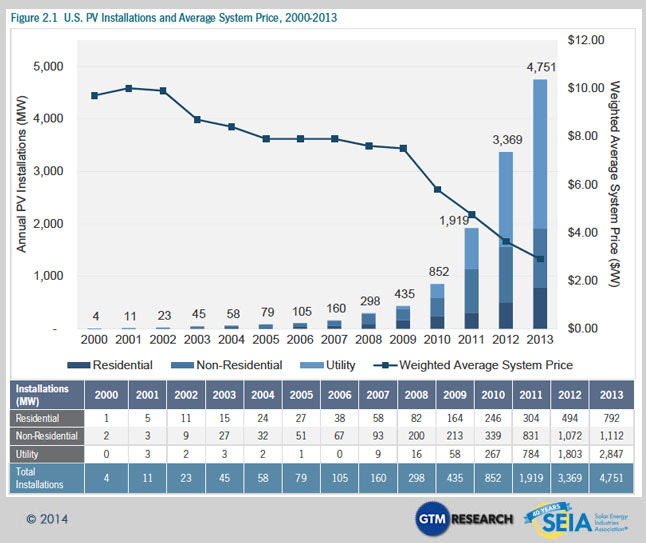 Continuing its explosive growth, the U.S. solar industry had a record-shattering year in 2013. 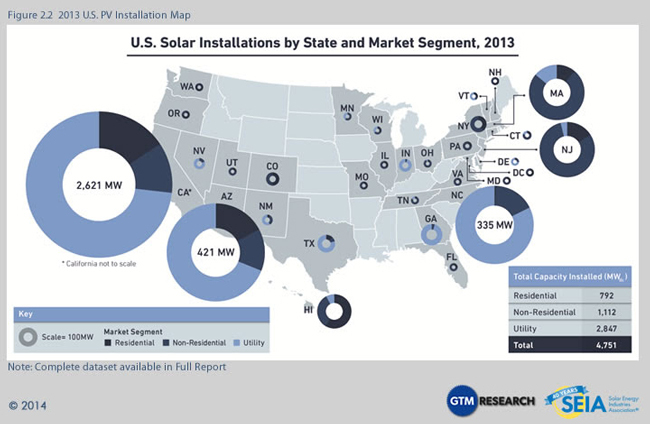 According to GTM Research and the Solar Energy Industries Association’s (SEIA) Solar Market Insight Year in Review 2013, photovoltaic (PV) installations continued to proliferate, increasing 41% over 2012 to reach 4,751 megawatts (MW). In addition, 410 MW of concentrating solar power (CSP) came online. 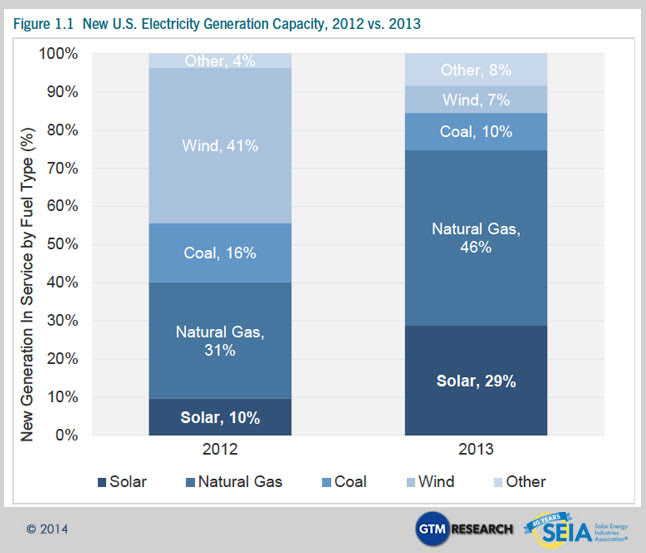 Solar was the second-largest source of new electricity generating capacity in the U.S., exceeded only by natural gas. Additionally, the cost to install solar fell throughout the year, ending the year 15 percent below the mark set at the end of 2012.